While Washington State Attorney General Bob Ferguson has demanded in an open letter to the state’s county sheriffs that they enforce provisions of a gun control initiative passed last November, he seems to have been rather quiet about Seattle’s new safe storage ordinance—which takes effect Wednesday—although it appears in conflict with state preemption. Washington adopted a preemption statute, barring local towns, cities and counties from adopting their own gun control laws, back in 1985 and amended it in 1985. But Seattle, Edmonds and King County have adopted so-called “safe storage” requirements, which appear to be direct violations of the preemption statute. The Second Amendment Foundation and National Rifle Association have sued Seattle and Edmonds. A judge dismissed the Seattle case in October, but plaintiffs quickly appealed. Maybe the difference is that Ferguson endorsed Initiative 1639, the gun control measure that he wants enforced. It actually contained an amendment to a state law that required the state to notify gun owners in a safety pamphlet that Washington’s preemption statute exists. CFL spoke Wednesday morning with a source at NRA who said that, to his knowledge, Ferguson’s office has essentially remained mute on the preemption question. The initiative prohibits 18-20-year-olds from buying and owning so-called “semiautomatic assault rifles” and also defines what that is so broadly that literally every semi-auto rifle ever manufactured is now an “assault rifle.” It also contains other tenets including mandatory training, a 10-day waiting period, secure storage mandate, registration, waiver of medical privacy as part of a so-called “enhanced background check” and paying a fee. This week had an interesting development regarding the I-1639 challenge in federal district court in Tacoma. SAF and NRA changed the defendants in that case from Ferguson to a county sheriff, a city police chief and the director of the state Department of Licensing, but it happened quietly last Friday, the same day that the Evergreen State was hammered by an incoming snow storm that literally grabbed everyone’s attention, including the media. When the original lawsuit was withdrawn and replaced, anti-gunners overlooked the new legal action. As a result, the head of the Seattle-based Alliance for Gun Responsibility—the billionaire-backed gun control lobbying group that supported I-1639—jumped the gun and issued a press release. But that turned out to be a big “oops,” because the SAF/NRA federal lawsuit is still very much alive. 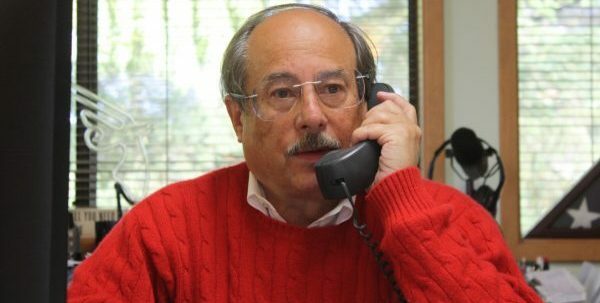 SAF founder and Executive Vice President Alan Gottlieb was compelled to issue a statement that refuted Hopkins and reassured Washington gun owners that they hadn’t been abandoned. “Pardon the pun, but they obviously jumped the gun,” he said. “Attorney General Ferguson told the court that he shouldn’t be a defendant in the case and defend the law at the same time. That may seem a bit contradictory, especially for a man who endorsed I-1639 and has vowed to defend it against any legal challenge, but he wanted out so we let him out. It allows him to be in his favorite spot, in front of a microphone. 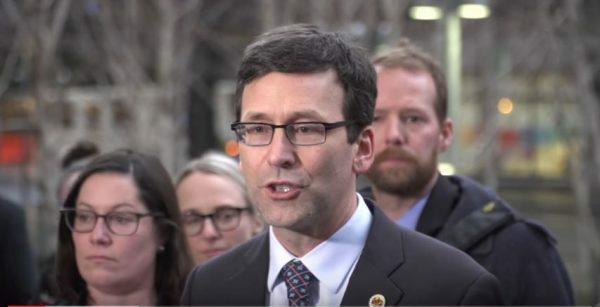 “Our challenge to this unjust and unconstitutional law will proceed,” he assured, “despite the grandstanding by the Attorney General and the Seattle gun control lobby. Sheriffs in a majority of Washington counties have announced that they will not actively enforce provisions of the initiative because of questionable constitutional grounds. That has caused a considerable discussion about whether sheriffs have the authority to decide which laws they will enforce. Next articleIsraelis/Jews Slaughtered By ‘Catch & Release’ Terrorists + Americans Murdered By Illegals: Where Are The Parallels?